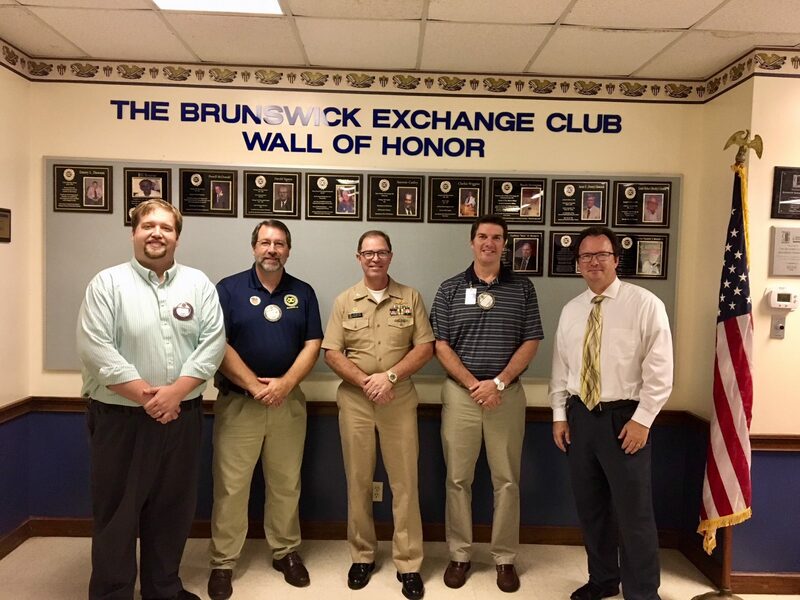 The Exchange Club of Brunswick recently hosted Captain Brian M. Lepine, Commander of Naval Submarine base Kings Bay. Capt. Lepine told the Club about his 38 years in the Navy. 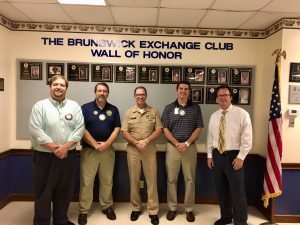 He also told the Club about facilities of Naval Submarine base Kings bay. Capt. Lepine talked about the Submarines and the Blue and Gold crews that serve aboard them. Capt. Lepine also fielded questions from the club members during his presentation.